LPs, EPs, singles, picture discs, gatefold albums … vinyl counter-culture lives on at the 12th annual Record Store Day. Record Store Day, the annual rallying cry for vinyl enthusiasts worldwide, takes place on Saturday 13th April this year. Now in its 12th year, the event began as a way of bringing disparate record shop owners together to find strength and purpose in numbers, if only for a single day each year. This day of unification helps create a brand awareness for vinyl and also provides an incentive for vinyl fans to return to the birthing pool from whence their obsession stemmed. It’s very much a dopamine fueled experience knowing that somewhere in the thousands of offerings there could be a nugget of gold ready to be mined - and quickly too, there are other prospectors hunting for that precious metal too! To further entice enthusiasts to get ‘hands on’ at the 240 or so independent record shops taking part across the UK, special vinyl re-releases and first releases are created each year, especially for the day. This year, anything from Ace Frehley to X-Ray Spex could be on offer. These are only available at the stores if you turn up in person - although it should be noted that not all participating stores will have all the offers available. To check this year’s Record Store Day exclusives, check the list on the RSD website. Additionally, some stores may have live performances from various artists and a general party atmosphere is promised at most venues, so a unique experience (for first timers) or a comforting reminder of what has gone before (for old timers) is on offer if you can make it to your local emporium. 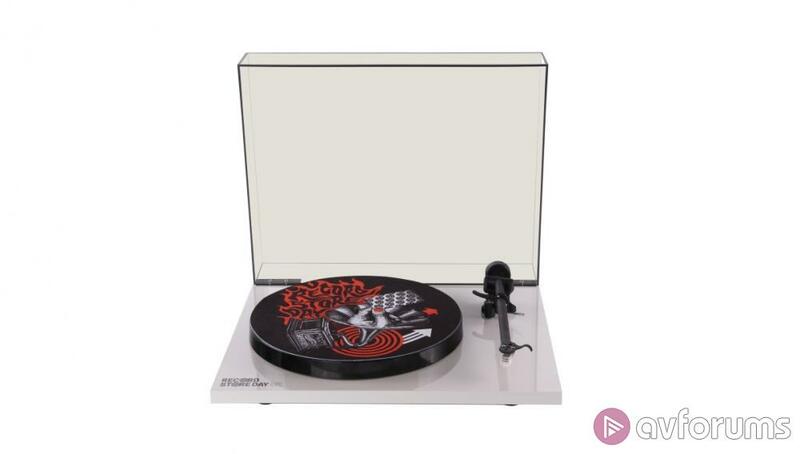 Rega continue to be the official hardware partner of the event (a role they have had since 2015) and they celebrate by pitching in with a limited edition release of one of their turntables. The 2019 Rega offer is a limited edition custom Planar 1 Plus model, of which there are only 500 available from participating stores and Rega dealers. The price is £299, which is actually £30 less than the original asking price of £329. The custom made slipmat features a design by Chris White who has previously put together tour posters and merch for the likes of Metallica and Florence + The Machine. The deck itself comes with a moving magnet phono stage allowing you to connect to any amplifier or active speakers and it distinguishes itself by being one of the easiest turntables on the market to setup - and they will no doubt go very quickly once the day gets underway. • 2x tickets to the 2019 Mercury Prize. • Signed posters by Ian Brown, Fun Lovin Criminals, Orbital, Brett Anderson, Hank Marvin, Chris Difford, Bill Wyman. • Signed records by, Tom Walker, Sundara Karma, KT Tunstall. 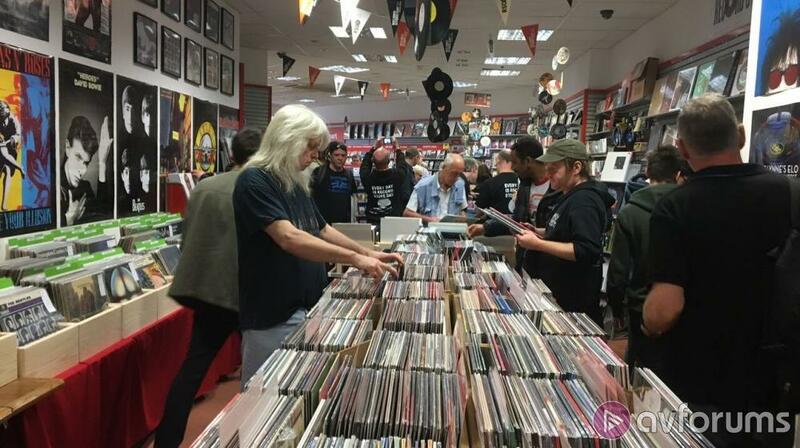 Simon Webster, Sales and Marketing co-ordinator for Rega Research, said, “We are very proud to be sponsors of Record Store Day UK once again. It really is a match made in heaven. We share the same important goal, to get as many customers to support their independent record shops and most of all to enjoy the music!" Why not get along to you nearest record store on the 13th April, have a browse and maybe pick up something special and, in doing so, support those who endeavour to make music purchasing a rewarding up-close and personal experience. For a more in depth look at the inception and rationale behind Record Store Day, check out our article here. The list of this year’s exclusive vinyl releases can be found on the Record Store Day website, including cover art, here, or as a pdf, here, for more speedy perusal.